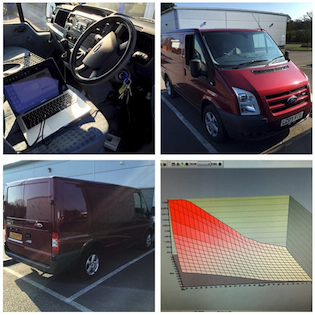 Commercial Vehicles including Vans and Trucks respond very well to ecu remapping. We can tune commercial vehicles for both economy, power or a mixture of the two. The tuning of commercial vehicles is not just about the additional power, torque, drivability and BHP that can be delivered, which can be very considerable, but with the correct engine ECU remap very significant improvements in fuel consumption can be achieved. Truck engines and ECUs can be tuned to deliver considerable extra pulling power and torque. Vehicles will feel smoother and more powerful, mid range acceleration and torque can be increased, reducing gear shifts and significantly increasing MPG return and driving pleasure. Most trucks can be tuned including the Mercedes HGV range, DAF Tuning, Volvo and Scania tuning, as well as MAN amongst others. Our commercial remapping extends to both vans and trucks including HGV remapping. Most trucks can be tuned including the Mercedes HGV range, DAF, Volvo, Scania, Iveco and MAN amongst others. VANs including the Mercedes sprinter, VW caddy, Renault traffic and ford transit can all be remapped to provide better economy, power or tuning can be optimised to provide a balance of both. If you van, truck or HGV is not listed on our website please contact us. We can remap most vehicles.